Cerebral palsy (CP) is a disorder that affects the brain and causes motor deficiency. “Cerebral” refers to the part of the body affected, and “palsy” refers to paralysis, as there an area in the cerebrum that’s dormant or paralyzed, which leads to either partial or complete muscle paralysis. The brain damage usually happens before, during, or shortly after childbirth and can end up being a lifetime disability for the child. The short answer to the question, “Can birth trauma lead to cerebral palsy?” is yes, it can. Mistakes during childbirth can mean a lifetime of heartache for parents, and a lifetime of complex challenges for the victim of the birth injury. The issues that result from birth injury can cost hundreds of thousands of dollars or even millions over the course of the child’s lifetime, and in many cases, the lifetime of the child will be greatly shortened due to the cerebral palsy. Some birth injuries leave a family with only a few heartbreaking months or years of life followed by death at a very young age. 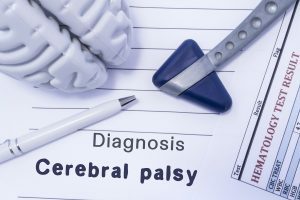 Cerebral palsy is one of the most common disorders in the United States; each year, between 8,000 and 10,000 babies are diagnosed with cerebral palsy. Cerebral palsy is characterized by a myriad of signs and symptoms, ranging from mild to severe. If your child already has cerebral palsy or you suspect he or she may have CP following a difficult delivery, it’s important to understand what the disorder is, what causes it, the signs to look for, and the best treatment options for your child. While come birth injuries are unavoidable, it’s estimated that as many as 30% of birth injuries could have been prevented. It’s hard to fathom that three out of every ten babies born in the United States suffered needlessly at the hands of a doctor or some other medical professional entrusted with the care of mother and baby. Some birth injuries are discovered immediately, while others may take months or years to become evident. The sooner birth injury is identified, the more likely the baby will be to respond to treatment for the injury. Cerebral palsy causes impaired movement associated with abnormal reflexes, floppiness or rigidity of the limbs and torso, abnormal posture, involuntary movements, unsteady gait, or any combination of these problems. Children and young adults with CP may have problems swallowing or may have an imbalance in the muscles of the eye preventing them from being about to focus. Kids with cerebral palsy may have reduced range of motion in joints due to their muscle stiffness. Erb’s palsy may also result from birth trauma. Shoulder dystocia is a complication that occurs when a baby’s shoulders become lodged in the mother’s pelvis, and it often results in damage to the nerves in the baby’s brachial plexus. The brachial plexus is a bundle of nerves in the upper arm. Erb’s palsy may resolve on its own with little or no treatment, but in more severe cases in which the nerves are severed, symptoms will typically not disappear on their own or with treatment. If your child developed cerebral palsy due to a botched delivery, please contact an experienced birth injury attorney. 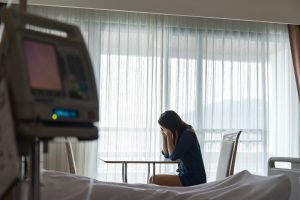 You may be entitled to compensation for your losses including past and future medical bills, lost wages, pain and suffering, and other expenses associated with a diagnosis of cerebral palsy.